A massive electrical chain store which can be found in most large cities in Japan. It’s pretty hard to miss the store fronts; a monolithic grey building several stories high, usually close to a major train station. There are a number of departments within the stores which would be of interest to anime fans; music section, games section, Blu-ray and DVD section and a toy section. They do stock a lot of otakuish items (figures, anime Blu-ray etc), so if it’s fairly new, you should be able to find it here. Most of the items, including CDs and home video are discounted more than other shops (5% to 15% off Japanese retail level at least). During my last visit, I noticed that the Shinjuku store no longer stocked CDs. It may be that way for some of the other stores, but all the others I visited did have CD sections. Some branches have other stores situated in the top floors of the building. 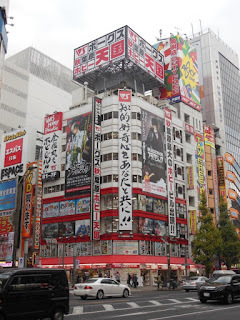 For example some have branches of Tower Records or book stores. Most have restaurants situated on the top floors as well. Rival to Yodobashi Camera, Bic Camera generally has the same type of stock. But feels like more of a mainstream store, and there isn’t as much “otaku stuff” as you’d find in a typical Yodobashi Camera store. Also Bic Camera branches seems to be more like “standalone” stores; there usually aren’t any independent restaurants or other stores within which occupy it’s floors like Yodobashi Camera. The sole exception I’ve seen is the store in Shinjuku which co-habitats with Uniqlo. 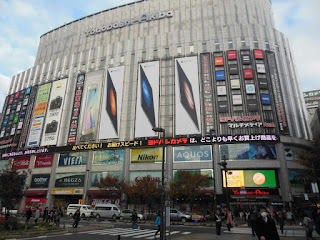 Discounts on items are usually on par or a little better than Yodobashi Camera. The massive book store chain. You may be familiar with its Sydney shop. The bigger stores have music and home video sections. The main store in Shinjuku is easily the best. In the block behind the main store is the annex, known as Forrest. It’s about three or so floors of specialised books, i.e. 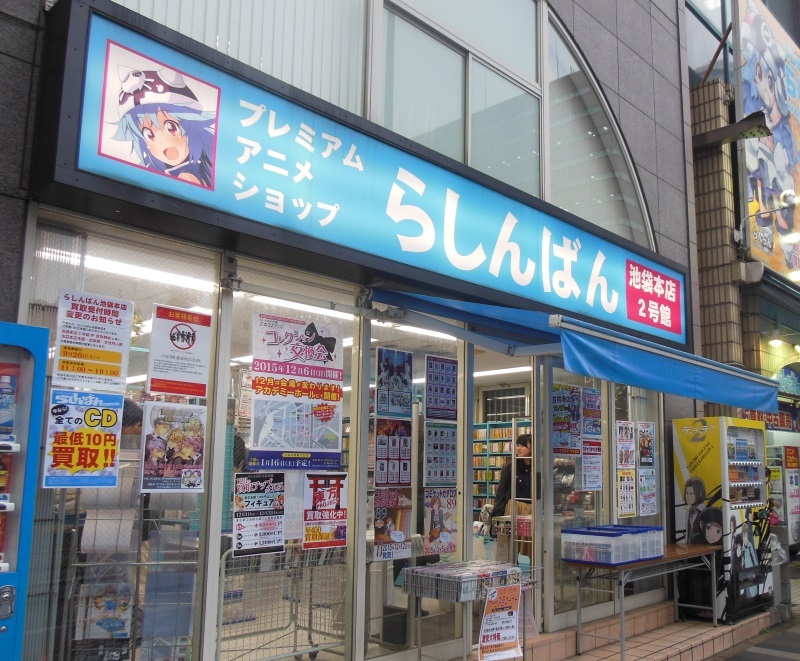 loads of manga, related books (artbooks and the like) and a separate store which features otakuish blu-ray and DVD on the ground floor. If it’s in print, it will be here. I’ve also lucked out on several out of print Japanese CDs I’d been looking for. The main problem though is you’ll always be paying full retail prices. Nothing is ever discounted. The massive second hand chain. Most shops carry second had manga, books, games, CDs, DVDs and Blu-rays. The company also has a small number of spin off shops called Hobby Off which carry second hand figures amongst other hobby related items and the amusingly named Hard Off which carries second hand audio visual and computer equipment. Of course with any second hand shop, it’s always very hit and miss when it comes to finding what you want and in the condition you want. Luckily most items are in fairly good nick, though things like obis on CDs might be missing. Items can be really dirt cheap, however with rarer items the valuers at the shops unfortunately know their stuff a lot of the time. 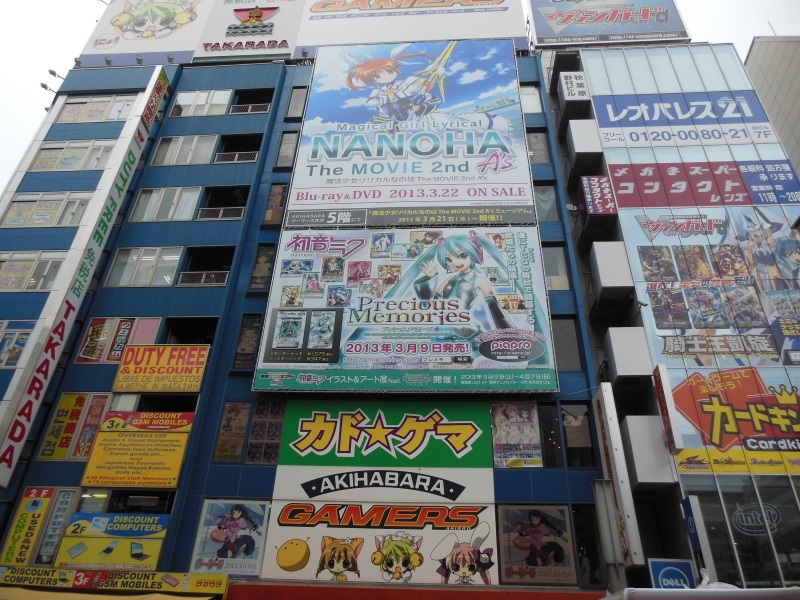 Easily the biggest anime store chain in the country. If there is merchandise available for a particular show (recent shows of course), it’s here. They also stock DVDs and Blu-rays, manga, CDs and some books. I’ve never seen figures any of their stores, which seems a bit odd. Easily the best shop in the country is their main store in Ikebukuro. 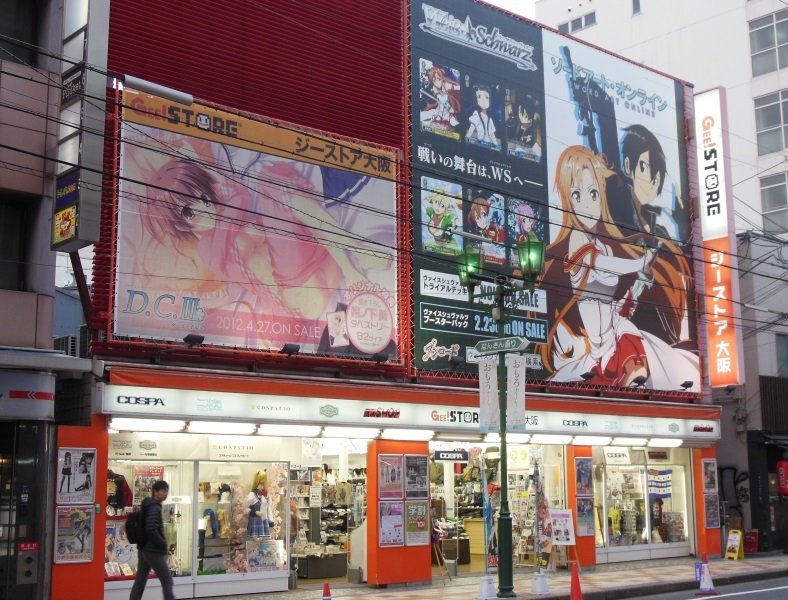 Though it is in the heart of the female otaku version of Akihabara (called Otome Road) and naturally focuses on titles of interest to those fans, the average male anime fan should be able to find a wide range of merchandise of their liking. The company’s old main store, a few blocks from their new main store, now contains mostly cosplay items. 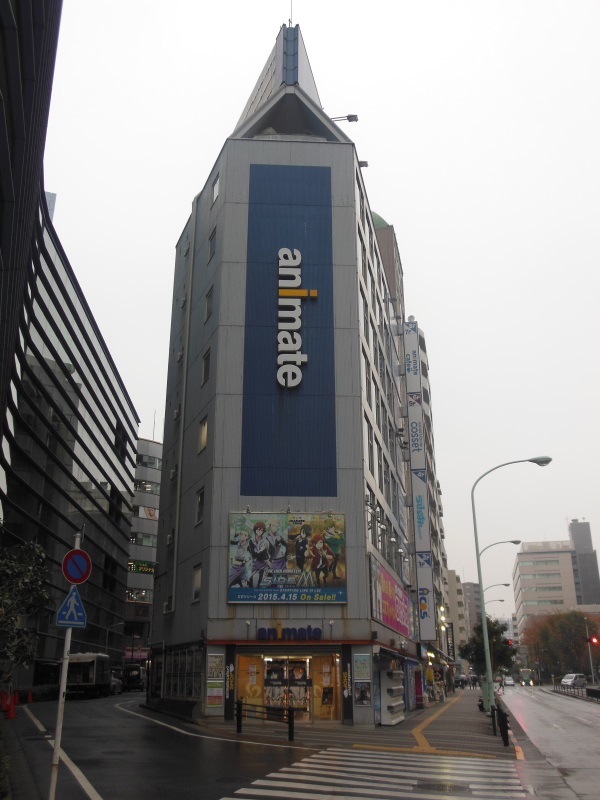 The only problem with Animate is they charge full retail prices, so no discounts here at all either. Another big anime chain store. As per similar stores, Gamers stocks loads of character goods, manga, light novels, books, CDs, DVDs and Blu-rays. They also stock anime versions of omiyage (souvenirs) such as chocolates or Japanese style sweets. Admittedly I haven’t visited this shop often, but I don’t remember them ever selling any figures. And as with other stores of this type, everything is sold at full retail price. Don’t expect discounts. A massive second hand anime and manga shop with lots of used manga, artbooks, CDs, DVDs, Blu-rays, light novels, doujin, character goods and figures. Admittedly I don’t go to this store all that often (maybe once a couple years back), but looking at their website, maybe I should have visited it more. I think I may have gone into one and seen some porny doujin near the entrance and decided right there it wasn’t for me. Maybe I should have looked through the whole store. The manufacturer of model kits also makes the infamous Dollfie dolls and accessories (notably Danny Choo is a rabid fan of that particularly fandom). As a result most of their stores highlight this product line. However most stores have a wide range of hobby related products (mostly concerning plastic model kits and the like) including a wide range of model kits, garage kits and hobby supplies. They also stock a wide range of anime and robot figures. Easily my favourite chain of shops. A series of second had good stores, they pretty much have everything related to Japanese pop culture, however there is a heavy focus on anime, manga, tokusatsu and pop idols, male and female. Most stores have manga, doujin, CDs, games, DVDs, Blu-rays, artbooks, figures, model kits and just about anything else you can think of. I totally blame this chain of stores for my current addiction to collecting Japanese movie programmes. 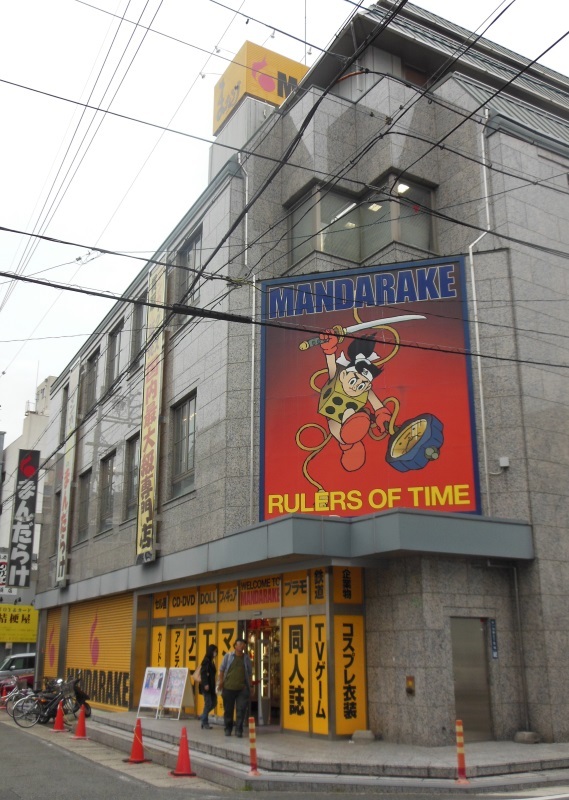 Not all Mandarake stores have the same type of merchandise. The Kokura shop in the AruAruCity complex in Fukuoka mostly has figures and not much in the way of books. The main Fukuoka store also doesn’t have much in the way of books either, but certainly a lot more than the Kokura store. The Nagoya store seems to have a large emphasis on female idols. 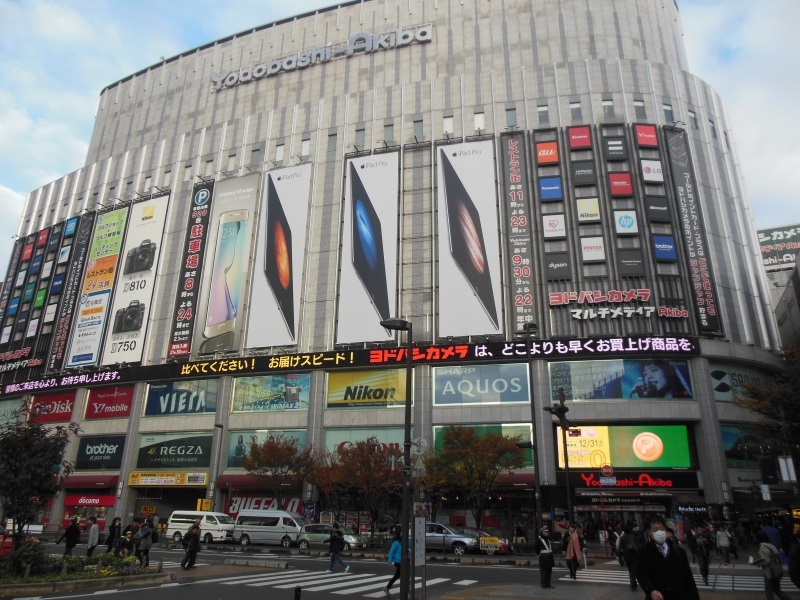 The main store is located in the Nakano Broadway complex which is three train stops north of Shinjuku. 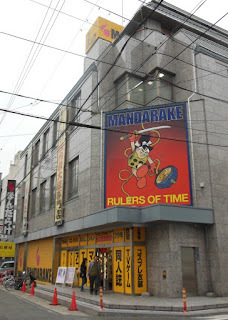 Many of the stores in that complex (more than half of the floor space in the complex is dedicated to Mandarake stores) have specialised stores dedicated to one aspect of fandom such as idols, doujin for men, posters, animation cels etc. A small chain of cosplay and accessory stores (also known by the names Cospatio and Nijigen Cospa),all the stores also stock a wide range of character merchandise, t-shirts, bags, key chains, lanyards and other clothing items and accessories. All the items are designed by the company and the shops don’t actually sell any other manufacturers items. 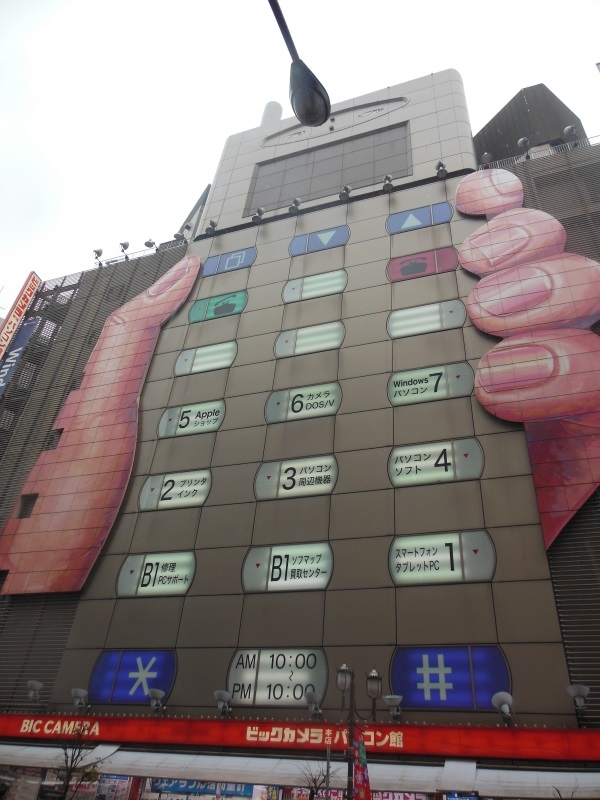 It’s rather easy to see why Japan is seen as a consumer paradise (or nightmare if you’re not fond of materialism). The shopping options seem to be endless. However if you are looking for some certain items, especially out of print records or CDs or even some anime items, you might be better off looking online. Chains like Mandarake don’t always have everything you want. Likewise record stores in Japan have been picked over pretty thoroughly. You’re probably not going to find a lot of rare stuff, and the stuff you do find may be pretty expensive. 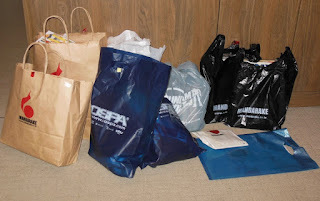 Regardless, shopping is still pretty fun there. Another shopping tip. A lot of shops you might be visiting, especially specialist hobby shops, will probably not be on the first floor (i.e. ground floor if you’re Australian or British). If you’re shopping all day don’t be a sap and use the stairs. Find the elevator (there’s almost always one) and take it to the sixth floor or where the shop is located. Why wear yourself out climbing stairs all day? The other thing which I didn’t mention in my previous post is the horror of trying to find shops, especially tiny niche hobby shops who are probably located several stories up in some tiny building with an entrance that’d you miss if you blinked. Japanese addresses are just woeful. There’s no numbers on businesses and houses and usually no street signs. In fact a lot of streets don’t have names. The easiest thing to do is get the address of the shop in English or Japanese and run it though Google maps. Certainly for smaller shops it’s not perfect, for large shops it works like a charm. Next time I’ll be taking a look at a few record stores.